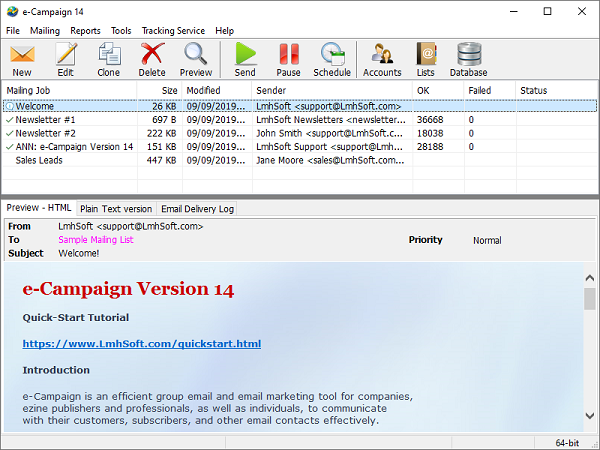 e-Campaign is easy-to-use mailing list software. This tutorial is intended to quickly familiarize you with e-Campaign. 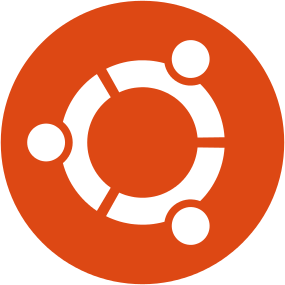 You can get started using this software in 4 steps. Click the Accounts button to create an Email Account to send emails. 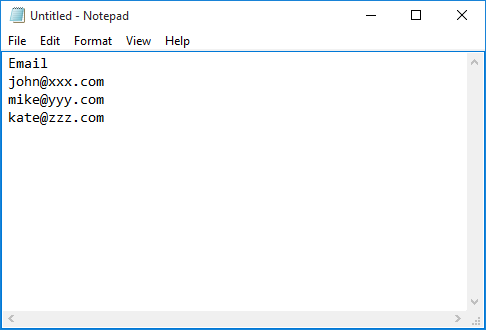 If you have SMTP email accounts configured in other email software (eg. 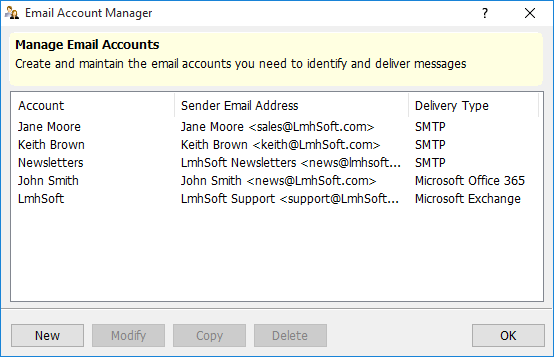 Microsoft Outlook, Outlook Express, Mozilla Thunderbird, and Eudora), click the “Import” button to import an Email Account. Otherwise, click the “New” button to create an email account from scratch. 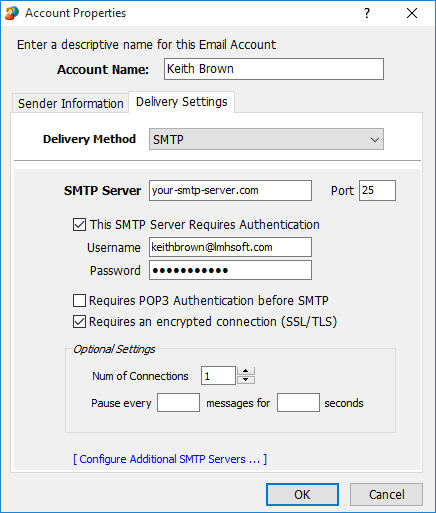 In the “Delivery Method” field, select SMTP, and enter the SMTP Server hostname, username, and password. To create a list, click the "Lists" button. 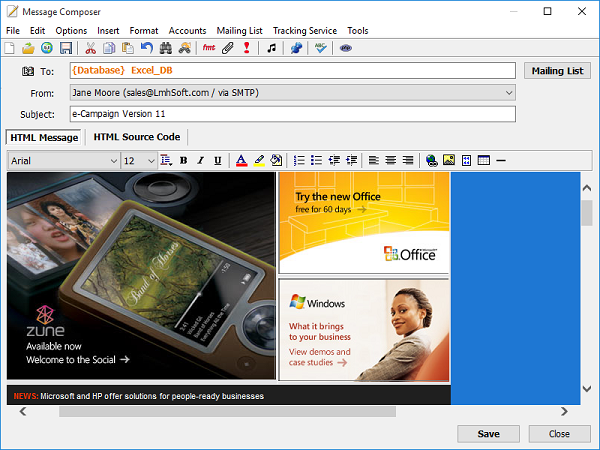 You can also use Microsoft Access or Microsoft Excel files as your mailing lists. Please refer to the “Creating Mailing List & Working with Databases” section for further details. Click menu “File-> New Mailing Job” or the New button to create a new mailing job. 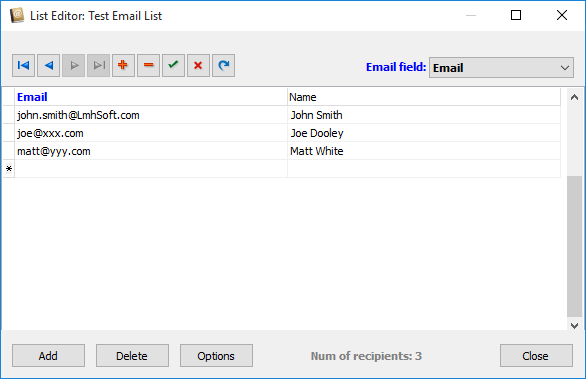 Specify a mailing list by clicking the ‘Mailing List” button or the “Mailing List” menu. Enter the message body and subject. After you finish editing your email, press the button on the Message Composer to save the changes. Click “Close” to exit the Message Composer and return to the main window. On the main window, select the newly-created mailing job. Then click button to start your emailing.